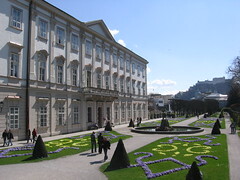 Salzburg is one of the cultural centers in Austria, and as such its museums do not fail to impress. The Salzburg Museum is often a good starting point on a trip to Salzburg as it outlines the city's history and takes you back almost 2000 years to when the city was founded by the Romans. The Haus der Natur is also interesting for people interested in natural history, where you can not only see dioramas but also living animals as well. See below for more information about museums in Salzburg.